You may have already enjoyed seaweed wrapped around sushi roll, but the idea of buying a bag of seaweed may have never crossed your mind. If you haven't yet thought about adding more of seaweed to your diet, you should probably do it now. The reason is that seaweed contains loads of antioxidants, vitamins and calcium. You can always consider making a seaweed salad without having to worry about seaweed salad calories. Keep reading to learn more about seaweed salad nutrition. 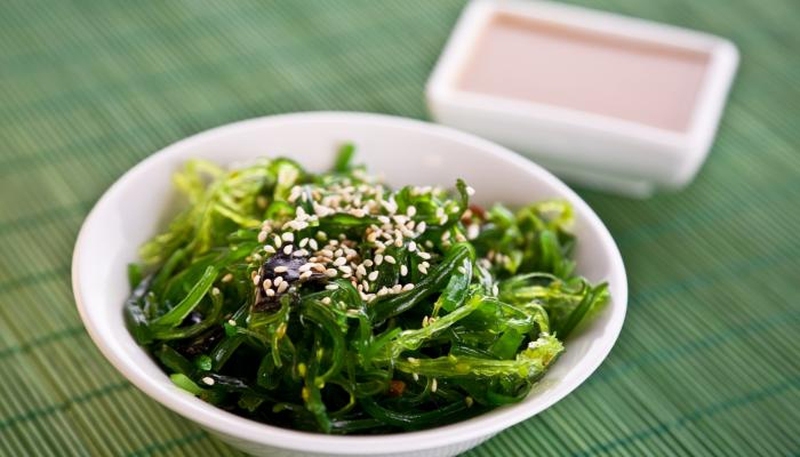 By adding a seaweed salad to your diet, you will be able to increase your calcium intake. Your body needs calcium to keep your teeth and bones healthy and strong. Calcium is also important to help in cell communication and make it easy for your muscles to contract. It is also important for healthy nervous system functioning. You can give your body 60mg of calcium by eating wakame or kelp. Seaweed is among those sea vegetables that contain iron as well. Your body needs iron to provide you with enough fuel to handle your day-to-day activities. Iron is also important for the nourishment of your circulatory system – it improves flow of blood to your tissues. Insufficient iron levels may lead to iron-deficiency anemia, which may produce symptoms such as shortness of breath and pale complexion. You will be able to get 1.1mg of iron from a cup of kelp, whereas a cup of wakame will offer 0.8mgs of iron. Your daily recommended iron intake is 8mg, and adding seaweed to your diet will make it easier to provide your body with enough iron. Seaweed salad nutrition includes vitamin K. Seaweed is an outstanding source of vitamin K, which is a fat-soluble nutrient. Vitamin K plays a big role in stopping the blood flow when developing an injury. It actually sends signals to platelets – the blood cells which are responsible for blood clotting – to aggregate and stop the bleeding. It is important for women to eat at least 90 micrograms of vitamin K, whereas the daily recommended intake of vitamin K for men is 12 micrograms. A cup of kelp will give you 26.6micrograms of vitamin K, which is equal to about 29% of your daily requirement. You may opt for dried spirulina, which has 1.8 micrograms in every tablespoon, or wakame, which contains 2.1 micrograms per cup. Quite like other green vegetables, seaweed doesn't contain many calories. A cup of wakame or kelp will contain less than 20 calories, which means you really don't need to worry about seaweed salad calories, no matter which seaweed you use. The calories it contains come from carbohydrates – every serving has 3g of carbohydrate. Enjoying seaweed salad is really a great way of controlling your calorie intake. Your body needs iodine for healthy thyroid functioning – it is also important during pregnancy. Its deficiency can cause goiters or lead to hypothyroidism. Your body cannot produce iodine, so you have to choose iodine-rich foods, and seaweed is one perfect choice because a serving of wakame contains between 93.6 and 185.1 mg/kg of iodine. It is important to provide your body with enough omega-3s to ensure good brain development. DHA, a type of omega3s, plays a big role in keeping your nervous system healthy. It also helps prevent heart disease. You can get all-important antioxidants through seaweed salad nutrition because an ounce of wakame seaweed contains more than 52mg of omega-3s. You may use a different recipe to prepare your seaweed salad, but it will still be quite nutritious and won't make you worry too much about calories in seaweed salad with the recipe we list here. Take a large bowl and put your dry seaweed in it. Now, add cold water to it. If you want your seaweed a bit tender, soak it in the water for 10 minutes. Reduce the time to make it crunchier. Now, make the dressing by combining sesame oil, rice vinegar, salt, sugar, soy sauce, and ginger juice. Whisk them together. Then drain the seaweed – make sure to squeeze out any excess water in it. At last, add the seaweed and the dressing in another bowl. Mix it well and use scallions for garnishing. After having a look at seaweed salad nutrition and how to make a healthy one, you might like to have it every day. However, it is important to understand that too much of a good thing can sometimes produce certain problems. The same is the case with seaweed. Here's a bit more about the precautionary measures you need to take when eating seaweed. Be sure to select seaweed carefully because some types can contain excessive sodium, which sometimes increase the risk for hypertension. Seaweed contains iodine, but some types have too much of it, which in certain cases may lead to iodine toxicity. This could stimulate thyroid hormone, which may cause an enlarged thyroid or acne-like rash. Avoid eating seaweed that grows in waters with heavy metals, because too much of these metals could be deadly. Some of the most common symptoms of heavy metal poisoning are tingling, numbness, nausea, weakness and diarrhea.